A car backfires close to where Steven Culp and I are sitting outdoors at a local cafe. This is in the middle of an interview with Culp about his latest film role as Robert F. Kennedy in "Thirteen Days," New Line Cinema's high-powered-white-knuckle cinematic take on the Cuban missile crisis. Never flinching, the near-stoic actor waits for me to record the moment and fire the next question. In talking to Culp it's easy to see the place from where his calm demeanor emanates and how he landed the coveted RFK role. True enough, he bears a striking resemblance to the savvy-young-politician-turned-political-heavyweight in the midst of the penultimate geo-strategic title fight. But it takes more than the right cinematic look and facial characteristics to hold your own with the best and the brightest in the industry as Culp does. The actor has the intellectual depth to grasp the complexities of portraying difficult characters placed in extraordinary circumstances. After graduating from Brandeis University with an MFA, Culp began working immediately on stage, where his roles included a part in "Richard III," with Kevin Kline, in New York. 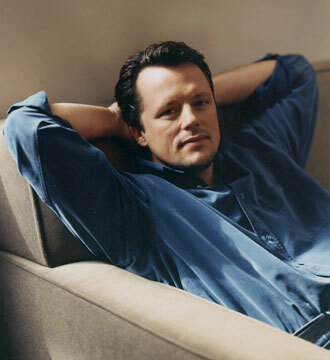 Culp continues to walk the boards with a recent role in "Art" at the South Coast Repertory, and still finds time for extensive television work, as well. Presently, he plays CIA operative Clayton Webb in "JAG," the hit military drama on CBS. More than likely, Culp will have an even larger fan club after audiences view him in "Thirteen Days," as the preparation and results are self-evident. "I worked with a personal trainer to get that gaunt look, immersed myself in the period by reading about the crisis and listened to Bobby's speeches on a Walkman while recording my own voice as I repeated the same words. I really had the voice down." He knew he had nailed RFKs voice, when he played the recording for his wife and said "That's me." Her surprise confirmed the work. The topic of preparation steers the conversation towards the film's director, Roger Donaldson, who, Culp points out, began his career as a documentary filmmaker. According to Culp, Donaldson's experience informs the film's look and feel. "Looking back at it, I'm very aware of how Roger set things up. He took care of the visual look and he made sure it was cast and that everything was perfect, putting it together into a really compelling film about two nations – the United States and the Soviet Union facing-off with the capacity to destroy each other. I also think he kept it from becoming too jingoistic. He held back on the flag-waving and, as a result, the film will be interesting to audiences all over the world. And like the best of films, it will keep you coming back, because this is a fascinating story and at the same time a very inspiring and moving story about imperfect men in government who, in this crisis situation, surpass themselves and transcend who they are. If you never saw Ali fight or you never saw John Wayne in "Red River" you wouldn't know how great they are. This is where (the Kennedys) became great and this is why we remember them."